Stop Wintu Fraud: Who were the Yana? Who are the Yana today? Who were the Yana? Who are the Yana today? Photo- Ishi last of what was made out to be by non-indians as the "last of his people". The story sold a lot of books in the early 1900's. His people were the Southern Yana or Yahi, more specifically the Deer and Mill Creek Yahi. Euro-American settlers commited repeated genocidal; acts upon these people during the 1850's and '60's. Their population was reduced by massacres perpetuated by Euro-american settlers from a few thousand people to extinction in two short decades. The Yana were not alone in anhilation, local tribes like the Chimariko, the Okwanuchu, the Nongathl, and the Lassik carry stories today where whole peoples during the Northern California Gold Rush in 1849 were killed or removed to make way for euro-american emigrants to "settle" our Indian Lands. Today anthropologists, a century later, churn thru their scientific documents to try and accurately interpret the data recorded by earlyer ethnographersand some recent ambiguity has been arising surrounding Ishi and the Yana. What are the implications for the Wintu? Are there any? Sometimes institutional research methods or even the research data itself it is at odds with tribal views. And unfortuantely sometimes it is at odds with widely accepted published data. Even so we can be wary as native Americans, even Wintu ourselves at the institutions ability to accurately verify history by the written record, or the settlers side of this story alone, and many others in the immediate northern Sacramento valley region. Ambiguity has been surfacing since the 1990's by anthropologists in California that are looking at the recorded data from Ishi over again, thing like linguistic morphological studies on the Yana- Wintu, Yana- Pit River have been done that seem to point to more of a link between the two tribal spheres than previously considered. This along with applied Obsidian Hydration Analysis studies and arrow point typology assessments have have together pointed to more similarities between at least Ishi's band of Deer Creek Yahi at the fringes of the lower valley, and the full-on riverene culture of the river dwelling Wintu that occupied the villages down to the mouth of Deer Creek. (see handbook Yana Map, Ishi Sketch, wintu names ref, memponna, memsol, chidel, dausol, kenponna, ect.). The obvious question to a Wintu or Yana Indian today is could part of Ishi's lineage be from one of the Wintun Villages lower down along Deer or Mill Creek? Or could Ishi simply have been imitating the larger and finer construction of larger arrowheads the Riverene Wintun, of whom's villages he is recorded to have visited, as a boy and young man, for communal food and ceremonial reasons. Or is it a Case of poor scientific research, as usual in denial of the mountainous oral history that exists as evidence for Ishi's heritage. They found him now they re-found his heritage? The SFSU website lists Archaeologist Gretchen Kell's published data questioning Ishi's cultural heritage from the early phase culture type thought to be reminiscent of typical Yana. Even fiftythings.com lists Ishi's story under the Wintu Tribe. It took UC Berkeley until 1996 to figure out that not only had the Yana survived (there bye nullifying the whiteman-ish gratification of him being the last of a race and being "found" in the wilderness by Kroeber. All while some dozen plus can been found at the Redding Rancheria and many Yana are Achomawi, Atsegewi, and Madesi band of Pit River and well as the few at the Redding Rancheria. 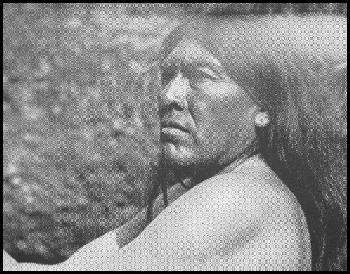 Ishi's remains were repatriated to the tribe from the Italian Cemetery in SF where Kroeber Buried him, to the Pit River and Redding Rancheira Tribes, the Wintu not included in Ishi's repat. We do not benefit from federal repatriation as our status is listed as non-recognised, but on the Secretary of the Interiors List for Actve Consideration. To the rising tide of Federalized Indians from Redding Rancheria dominating the cultural resource field with gaming revenue and political influence locally and federally the the larger body of non-recognised Wintu Indians has been denied health, welfare, cultural protection, education self-governance and self-determination while area tribes like the Redding Rancheria have been allowed to grow into multi-million dollar corporations.